The Pilgrim's Reception Office, which is in charge of collecting the statistical data of the walkers who arrive at the Cathedral of Santiago, has not yet made public the global figures of the Camino de Santiago in 2016, although little by little we are getting information. This is the case of the Principality of Asturias, which has announced a government of the region, has grown by 7.8% in influx of pilgrims in 2016 compared to the previous year, reaching 29,400 people. 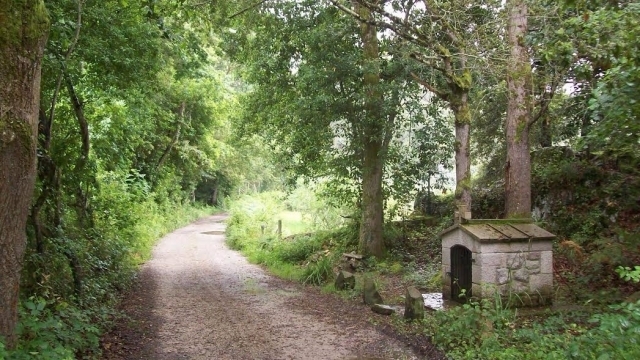 Two of the historical routes through the Principality of Asturias, the Camino del Norte (Camino de la Costa) and the Camino Primitivo, have surpassed their data for 2015. It was the first one that experienced greater growth compared to 2015, with 9.5% (17,312 pilgrims in total), while the Primitivo rose by 5.4% (12,098 people in total). On the other hand, the data provided by the Tourist Information Center of the Principality show that more than half of the pilgrims who traveled these two routes are between 30 and 60 years old - a profile that coincides with the general of the Camino de Santiago - and that in Its vast majority walk on foot (92%). Almost half of the Principality of Asturias (34 of 78) councils are crossed by some of the historical routes of the Way of Saint James (North, Primitivo and El Salvador Road), being the North Road the most traveled in the region and The third in number of pilgrims in absolute data, behind the French and the Portuguese.